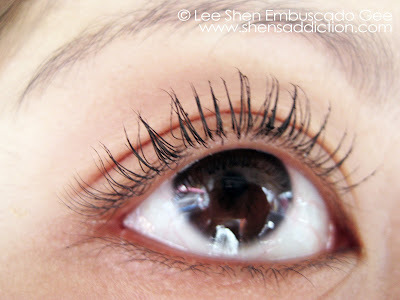 I realized that I don't do a lot of mascara reviews when it is one of the most important part of my eye makeups. My makeup routine isn't complete when I don't coat my lashes with mascara. 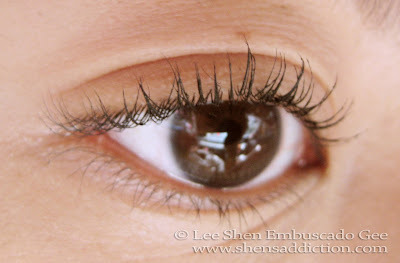 Ultra-Volume Collagene Mascara is one of those that has really intrigued me when i saw it on the pages of magazines. And i'm one of those people who buys a product that is endorsed by actresses or models that I like. 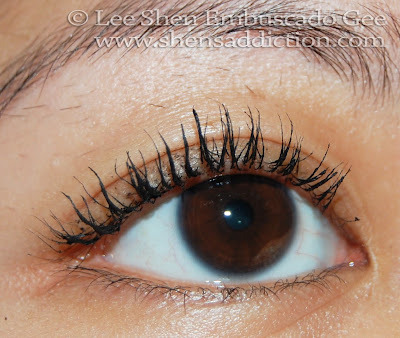 Eva Longaria is one of those, just looking at her oh-so volumized lashes made me covet this mascara more. I know its pathetic and not one of the best way to judge a product... blame it on me watching too much TV while growing up til present. To my disappointment though, the mascara wasn't out yet in the L'oreal counters of my favorite malls. Thankfully though Santa seems to like giving me early Christmas gifts, I got a full size sample of this mascara a few days before it was released (or was it after, I can't remember). Collagen, a well-known ingredient in skin care for its volume-making properties has been added for the first time in a mascara –for that structure in your lashes that you have always been looking for. Combine that with an instant impact brush for maximum volume in one stroke without clumps and you have the mascara that women ready for an impacting intense result with strong expectation on volume have been waiting for. The dislike though is the wand in itself. I'm sure the wand is the tool to give my lashes the volumize-effect. But nevertheless, I didn't find this wand helpful in terms of making a clean application. Maybe because my permed lashes are just way too curly that it touches my lids. But nevertheless, I love the results. I just need to get use to the brush. And though it is not bigger than other Jumbo mascaras in the market, it is relatively bigger than a normal wand. It also clumps on me on occasion that i don't take of excess off of the brush, although this didn't happen to me prior to perming my lashes. 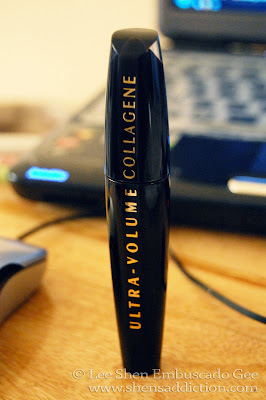 Overall, I have a love and hate relationship with L'oreal's latest Mascara, Ultra-Volume Collagene. I love the consistency so much but the wand is not working for me on occasion. 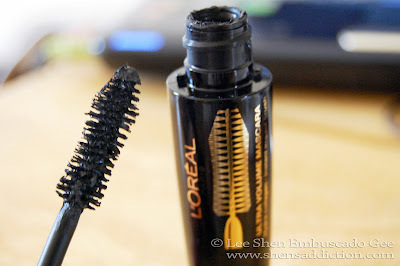 But I definitely adore that its smudge-proof but easy to take off with my L'oreal Lip and Eye Gentle Makeup Remover. I give it a score of 3.5 out 5 Kikay Pinay Points. Roll off the wand instead of swiping it as you normal see on TV etc. Count 1-10 as you apply mascara on the lashes of each eye. 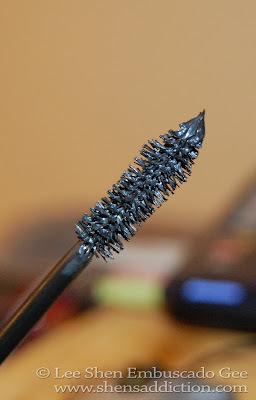 If you don't have a mascara guard, use a calling card to guard your eyelids.